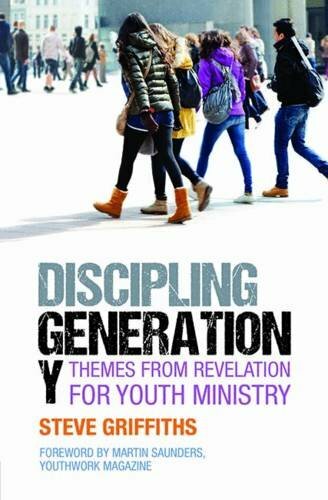 Discipling Generation Y offers an accessible yet profound integration of insights from the book of Revelation and the cultural context facing Generation Y. In ten short chapters the key elements of Christian life and faith are explored drawing on the biblical narrative but also offering approaches to sharing the gospel with Generation Y with the intent of helping them become mature in Christ in a way which is both biblically and personally authentic. I strongly recommend this book both for youth workers and other church leaders as offering significant help with one of the great challenges of contemporary church life - effective discipleship. Rev Dr Sally Nash, Director of The Midlands Centre for Youth Ministry. When it comes to discipling Generation Y - those born between 1980 and 2000 - we need to acknowledge that they speak a different cultural language from the rest of us. This is a generation on a passionate quest to find their identity amid a barrage of online information and entertainment, a generation at ease with an astonishing level of global connectivity. Even so, the process of discipleship remains essentially what it always was. Ultimately, we want our young people to be happy and fulfilled. We seek to introduce them into a way of living that takes seriously Jesus Christ as 'the way, the truth and the life' (John 14:6). This book shows how Revelation offers one of the clearest biblical explorations of Kingdom values at work in highly challenging circumstances. Youth ministry trainer Steve Griffiths unpacks its message with an invaluable mix of theory, Bible study and practical application to show how we can use the themes of this often misunderstood book of the Bible to help us grow young people into mature followers of Jesus, ready to work and witness in a fast-changing world.